Hair Cap Moss For Sale Online. Low Wholesale Prices. Hair cap moss is a perennial plant sometimes called hair moss and is one of the largest of seventy species grown around the world. commune to have a star appearance. The leaves are six to ten millimeters long and are spiked thin pointed and spread in angles. The whorled leaves will grow no longer than a foot and have no tissues made from wood. The stems sometimes reach thirty-five to forty centimeters in length. They grow well in partial sun but adapt well to most habitats. The leaves have commonly been used to make brooms, baskets, mats, rugs, and cushions. When growing, water must conduct from the base of the plant. 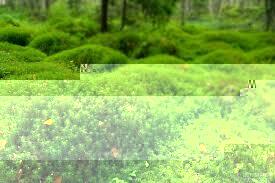 Tea taken from the moss has been known to reduce kidney and gallbladder stones. Some even use it to strengthen hair. It has also been used to decorate fabric on cloaks in New Zealand. Moss is an ingredient in peat which is used to make fuel. There are many other uses including scotch whiskey and a soil additive. Hair Cap Moss is also known as Polytrichum. Hardy planting zones 3-9. The growth rate is 12 inches or more per year. Hair Cap Moss can be seen growing in wooded areas, shady areas or covering rocks. This moss loves wet soil. There are many different types of mosses, over 150 to be exact. While some look very similar and are hard to tell apart, others seem very different. This moss grows identical to hair and can grow wild and out of control, with a little pruning help it can have a uniform look. It grows the best in areas that get a lot of shade where other mosses and plants cannot grow. Mosses all alike tend to hold water in so they do not need to be frequently watered, but in dry spells can be watered on a regular basis. The branches can grow up to 8 inches tall but can all be cut down to the same size. If it gets too much sun, it will turn from a vibrant green to a dark brown color and can die out. Do not spray water on this moss; it is better to use a mist nozzle or if you have smaller clumps you can use a spray bottle. Moss can be used around landscaped areas or along walkways so that you don’t have the mess of grass. Hair cap moss can also be grown indoors as long as it has moisture and is kept out of direct sunlight.